Since its debut in 2010, Instagram has been rising in the popularity chart among users and marketers alike for different reasons. At present, it has more than 500 million active users which places in on the third spot among all social networks, just behind Facebook and YouTube. This platform has become a marketer’s delight in true sense as it offers great prospects to advertise products and services or any aspect of the business, or boosts brand presence easily. 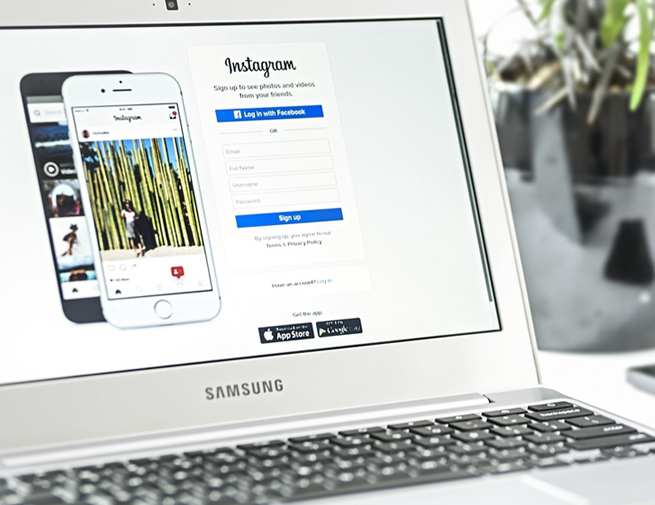 What’s more, Instagram has more than one million advertisers leveraging a platform that is regarded perhaps the best among social networks for customer engagement. Unsurprisingly, it even fares better than Facebook when it comes to be the platform of choice for engagement. This clearly shows the kind of impact it has in the market. And as far as the engagement ability of this platform is concerned, it is better than the rest for ease of shareability, post visibility and comments. Instagram is very popular among the age group of 18 to 30 years. In fact, six out of 10 people in this category have an Instagram account. Their number of huge which gives this platform the bragging right of being in tune with the current tides and times. And imagine the scenario when these young men and women will go shopping! Marketers can use Instagram to post high-resolution pictures or short videos of their products or services and try to win the trust of customers. This is how customers can be led to the website. The best part, 70% of total users on this platform are female who are just crazy for shopping. Brands understand all that well and trust this platform for engagement. No other social platform helps build brand images through pictures and videos as easily, effectively and robustly as Instagram does. Not even Facebook and Twitter come close to matching its ability in terms of engagement in visual manner. It’s true that other networks also provide ease with photos and videos, but it’s the UI of Instagram which makes it special. The platform has an absolutely clutter-free user interface, and anyone can access it to see top-quality videos and pictures in a smooth manner. Marketers know that some 700 million users from the across the world access this platform through official app of this platform which can be leveraged to realize brand potential. This is how better customer engagement is achieved. If Instagram has edge over other for marketing, it’s due to it being a platform with the most active users on the work. Its users are not only ultra-active but also spend a lot of time on the platform. Compared to Facebook, the users on this network are some 60% more likely to stay active, do comment, like, share a picture, watch a video and so on. Naturally, the content on Instagram is more likely to be liked, shared, discussed, debated, commented upon, and all this makes it numero uno in terms of customer engagement. Users just love this network, so they spend a lot of time there. For that reason, this platform becomes the best for user engagement. Instagram is perhaps the only mobile-exclusive platform which makes it incredibly easy to use on the go. Anyone can edit images almost instantly on it while on the move and then share it with the world in a jiffy. No other platform matches it when it comes to delivering in-the-moment experience with pictures images or videos. More importantly, users find Instagram a very simple app to use as it does not have a complex posting options to confuse users. Plus, everybody simply loves its infinite scroll feature for new content. All this attracts more people to this platform and makes it the best of user engagement. The visual nature of Instagram is perhaps one of the major reasons behind its ever-growing popularity with new-age users. And people these days love information visually as it’s easy to grasp and it lingers on for longer. Images occupy the entire newsfeed of this amazing platform, so users come back over and again for content. More so, all the content on this platform is arrayed in the same square format which gives it a desired level of uniformity. When people come on this platform, they know what to expect and this is why its user engagement appeal is the best in the business. Instagram is not a platform for just one purpose, like LinkedIn which exists for professional networking alone. It terms of content experience, it resembles Facebook and Twitter but comes with a superior spa control and better security. People of any age group can use this platform which is a major reason behind its ever-growing reach. People can join the network to interact more, enjoy high-quality visual posts while marketers can target their base. All this makes Instagram easily the best network for user engagement. Instagram is easily the most favoured network by younger audiences across the world. The overwhelming majority of its users are below the age of 30, giving it a youthful energy lacked by other famed platforms like Facebook or Twitter. Plus, it’s simple to use, anyone can enjoy it on-the go, people can post images or videos in a smooth manner and marketers can connect with the potential audience through well-directed visual posts. No other platform provides all that which is why Instagram has become the best for user engagement. Brands can this hire social media consulting services to benefit from this amazing network and realize their true potential in a cost-effective manner.